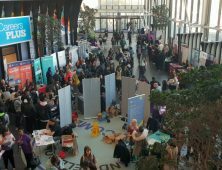 The Sandwell College University Fair at Central Campus was a massive success, with a packed atrium! 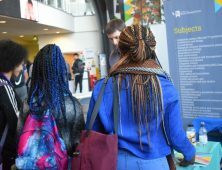 There were stands from more than 20 different universities, talks in the theatre from guest speakers, advice clinics on writing personal statements and researching universities. 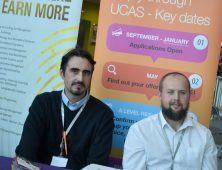 Staff from Sandwell College’s own Higher Education teams were also on hand to help students apply for university level courses at college. Level 3 Photography student Maicie Small said she found the event really useful and informative.